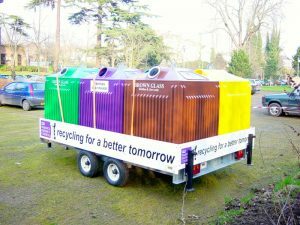 Carbery Plastics’ original Tidy Bank recycling bank is a popular choice with waste management businesses, recycling companies and local authorities. A timeless design, optimised for longevity, all Tidy Banks are are designed to provide the maximum amount of storage capacity, using the minimum amount of ground space. 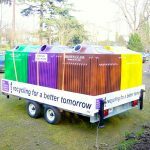 Like every Carbery recycling bank, Tidy Banks benefit from heavy duty construction and are rotationally moulded from premium quality, fully recyclable polyethylene. A wide range of options is available, allowing every Tidy Bank bank to be tailored to customer and site specific requirements. 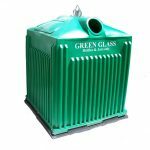 Every Tidy Bank recycling bank is supplied as standard with a 2 hook lifting system, with contents discharged via doors on the base of the product. Wheels can be provided as an extra cost option, allowing Tidy models to be located in semi-inaccessible areas and wheeled to a central point for collection and emptying. 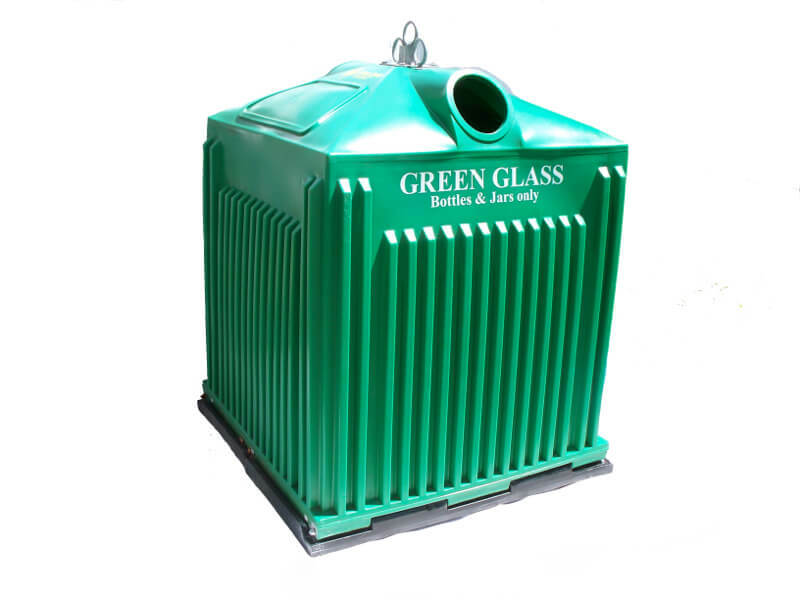 Wheels – to allow recycling bins to be positioned in semi-inaccessible areas and wheeled to a central point for collection.